The DSM-IV and ICD-10 criteria are shown in Table ! and Table.g respectively. As will be seen, the DSM-IV and ICD-10 descriptions are very similar in overall outline but with a number of rather striking minor differences. The following specific features should be noted. 2. DSM-IV allows the presence of tactile and olfactory hallucinations, while ICD-10 mentions only auditory hallucinations; in practice most modalities may be represented but the important point is that they are relatively non-prominent and usually parallel the content of the delusion(s). 3. DSM-IV says that delusions should have been present for 1 month and ICD-10 insists on 3 months. Both are guesses, but ICD-10 is probably right to err on the side of caution and it provides category F22.8 as a temporary niche until the definitive diagnosis emerges. 4. Both classifications exclude delusional illnesses due to organic brain disorder, medical illnesses, medication effects, or psychoactive substance abuse. In essence this is correct, especially in an illness of acute onset. However, as will be noted later, an apparently typical delusional disorder may arise as a long-term complication of any of these factors. 5. 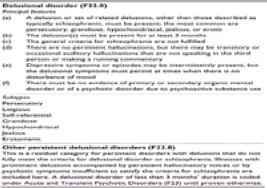 DSM-IV and ICD-10 agree emphatically that delusional disorder is not schizophrenia and DSM-IV notes that general functioning is not impaired. Both say that mood disturbance may accompany the delusional illness but is not a cause of it. 6. The list of subtypes according to delusional content is similar in both classifications, although ICD-10 adds self-referential and litigious themes. 7. Neither classification specifies that the essence of delusional disorder is a highly organized delusional system, largely encapsulated from normal aspects of the personality, although DSM-IV hints at this when it comments that functioning is not markedly impaired and behaviour is not obviously odd or bizarre. Neither comments that the patient can demonstrate alternating 'normal' and 'delusional' modes. 8. The ICD-10 category of 'other persistent delusional disorders' is vaguely described and is largely a catch-all heading or, as mentioned above, a temporary holding station. However, it could conceivably be used for the time being to subsume the unofficial delusional disorder diagnoses of paraphrenia and delusional misidentification syndrome which will be described later. 9. 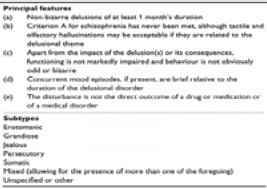 Overall, DSM-IV and ICD-10 give rather laconic descriptions of delusional disorder and it will be necessary to flesh them out with relevant clinical details. 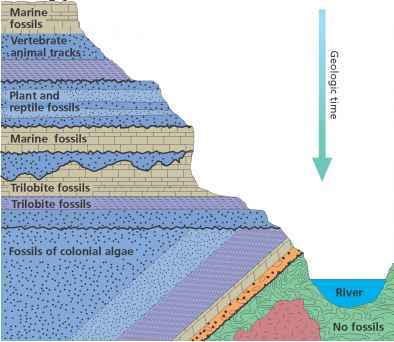 This will be done immediately after the next section on aetiological considerations.